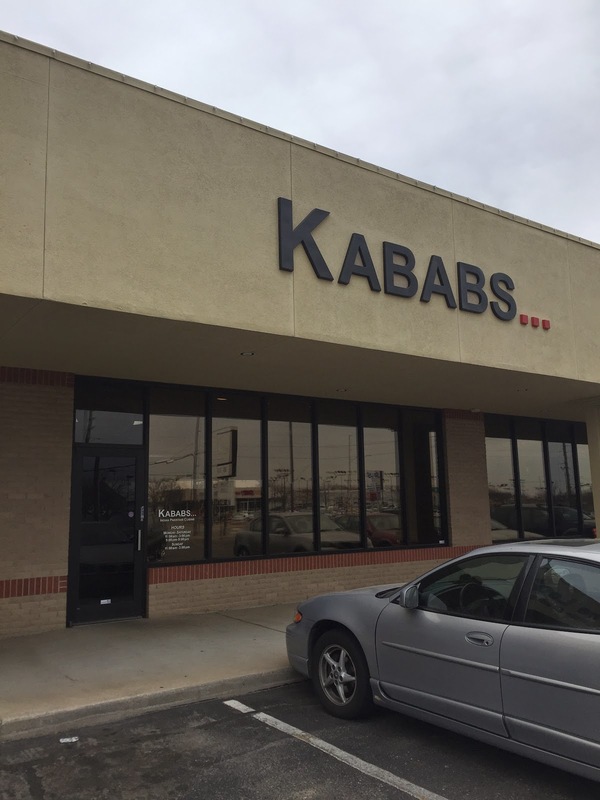 Kababs Review (CLOSED) – Wichita By E.B. Every time I’m on the west side of town, it’s almost a must to try a new restaurant out there because of the limited amount of time I spend out there. I just happened to be out west this past week and a friend suggested we try out this restaurant she’s been meaning to go to. Knowing my fascination with trying out new restaurants, my answer was immediately “of course”. Kababs is an Indian Pakistan restaurant located at 746 N Tyler Road. 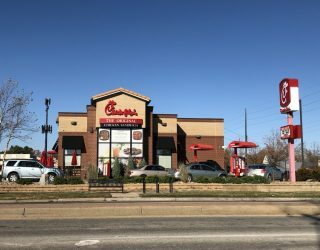 It’s conveniently located near Central and Tyler and about 3 hours away from the east side of Wichita for those who like to be overly dramatic about the drive time from one side of town to the other……like myself. When we stopped inside, we were immediately greeted by their hostess/server and had a choice between a four top table or a cushioned booth. The place looked very cozy and had a couple TV’s on with CNN on one TV and ESPN on the other. They had Indian music playing in the background to create the mood of the restaurant. On that afternoon, they happened to have a lunch buffet which is common for them. For those familiar with Zatun on the east side of town, the place had a similar feel to it regarding the buffet and food options. The options for the day included (please excuse any spelling errors): White Rice, Veggie Biryani, Vegetable Soup, Roasted Potato, Okra, Kardhai, Chicken Curry, Chicken Tikka, Seekh Kabab, Tandori Chicken, Hummus, Salad, and an arrangement of different vegetables. We tried an assortment of items from the buffet and the main items that stuck out as being very delicious were the Veggie Biryani which was essentially like rice and veggies and the Tandoori Chicken. The best item of the buffet was the Seekh Kabab which looked like an all-beef link. The remainder of the items would best be described as ok. Unfortunately the hummus was below average. It wasn’t exactly runny but it wasn’t as solidified like most hummus you can find at other restaurants if that makes sense. If you put the hummus on a pita bread, it would slide off. At a smidge over $10 a person, it was about what you’d pay for a buffet style meal at most Indian restaurants. Compared to other places in town, I’d rank this on the average side. Not sure how many other Indian restaurants are on the west side of Wichita so this may be your only option. Since people’s opinion of food and what is good varies, go ahead and try this for yourself.